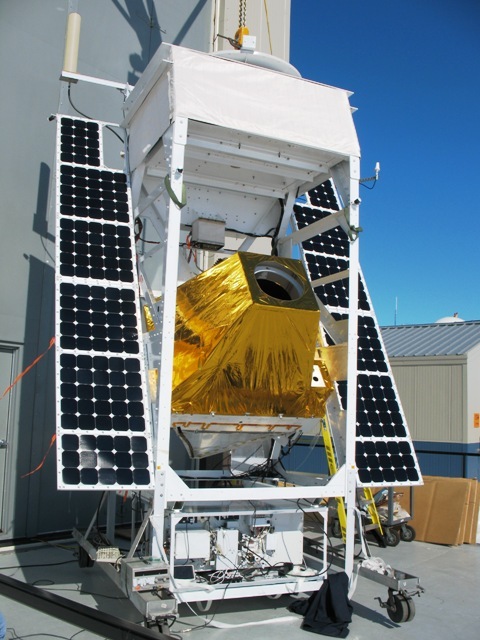 The SBI (Solar Bolometric Imager) is a solar telescope equipped with an innovative bolometric detector that is capable of recording images with a high angular resolution in total photospheric light. SBI provides the first opportunity to bolometrically image brightness variations at the solar photosphere, allowing to determine the contribution of magnetic as well as non-magnetic solar thermal structures to the total solar irradiance (TSI) variation. The knowledge of this irradiance is a key issue for scientists because it heats directly the troposphere being the most direct effect of the Sun on the Earth. The SBI consists of a 30 cm aperture F/12 Dall-Kirkham telescope feeding a 320 x 240 element thermal detector array. The telescope primary and secondary Pyrex mirrors are uncoated; first, to reduce the sunlight to the level suitable for the detector and second, because of the favorable reflection properties of bare Pyrex. The detector is an array of ferroelectric thermal IR elements modified by deposition of a thin coat of gold-black wich is a colloidal form of gold that exhibits excellent photon absorption characteristics. from the UV to beyond 10 um in the IR. Because of the relatively small size of the detector array the actual field of view of the instrument is only 91700 x 68700, and to obtain a full image of the Sun (96000 in diameter) it is necessary to create a mosaic image with the telescope pointing at 10 diferent locations on the solar disk. 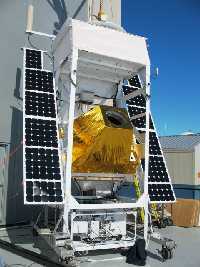 After development of a ground based prototype, the SBI was modified for balloon flight housing it inside the observing platform (gondola) attached with a mount that allows to tilt the instrument in elevation. 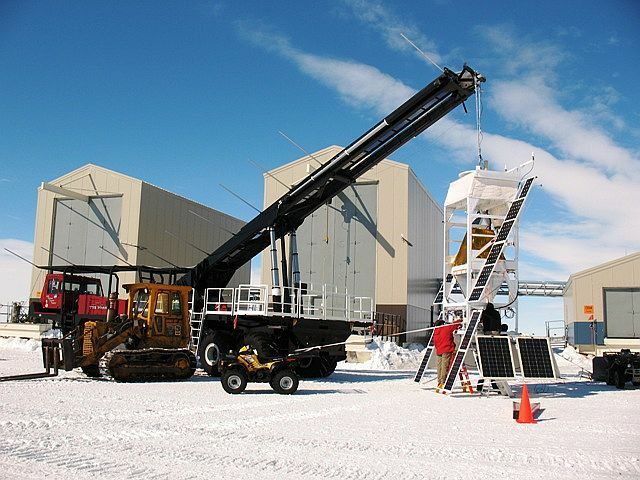 This gondola was previously used for the Flare Genesis Experiment project, but retrofitted to house and control the SBI telescope and detector. To point the instrument at the Sun in azimuth the entire gondola is rotated around its vertical axis by means of a reaction wheel. 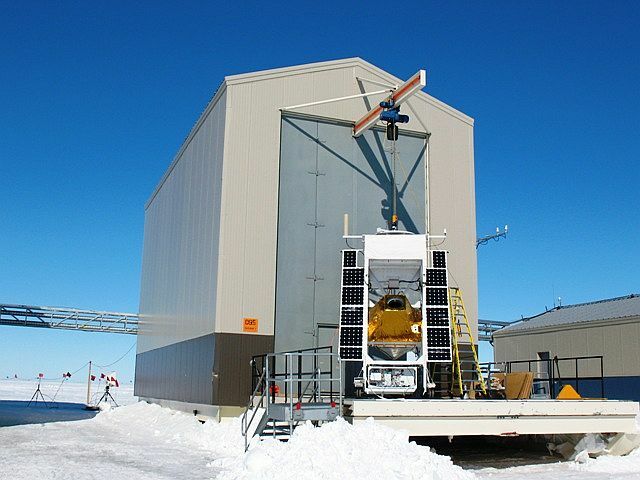 In addition to providing pointing for the telescope the gondola houses all the electronics and mechanisms necessary to operate the instrument, to store the data and to transmit telemetry to the ground, as well as receiving commands. Power is provided by a series of photovoltaic cells. 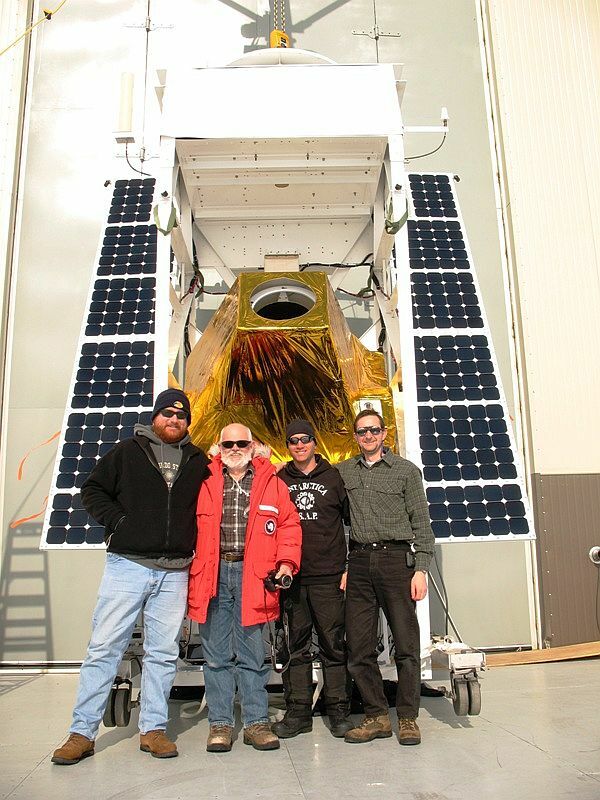 The balloon was launched on 24 December, 2006 at 3:57 utc by dinamic method using a launch vehicle (the Boss). After a nominal ascent the balloon reached float altitude two hours after. However, the science group experienced a command and control failure during ascent which rendered the instrument inoperative so, the flight was terminated shortly after reaching float at 8:34 utc. The termination was performed by the ROCC (Remote Operations Control Center - launch site) using LOS (Line of Sight) procedures from Williams Field. A blind, Semi-Automatic Parachute Release (SAPR) parachute cutaway was apparently successfully performed by LOS. 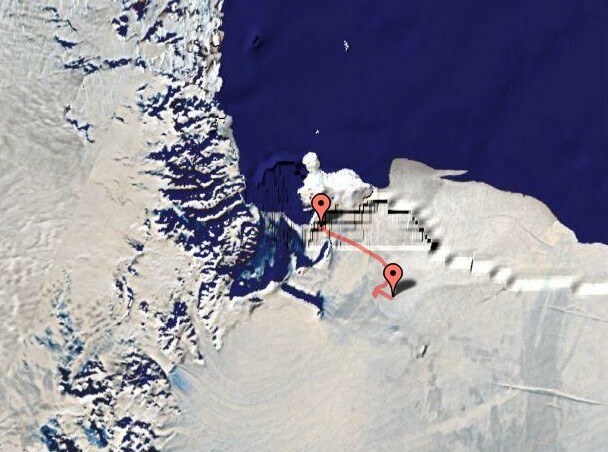 The payload landed at 9:20 utc in coordinates 78º 29' S / 170º 14', 54 nautic miles east-southeast of Williams Field. On December 26 started the search of the payload using a Twin Otter twin engine turboprop aircraft. Due to the bad conditions it was impossible to land, but a member of the team aboard was able to see the gondola from the air, wich after touch down tipped over on its back as expected, looking in good condition. This was the second flight of the instrument, and the first one intended to be of long duration. 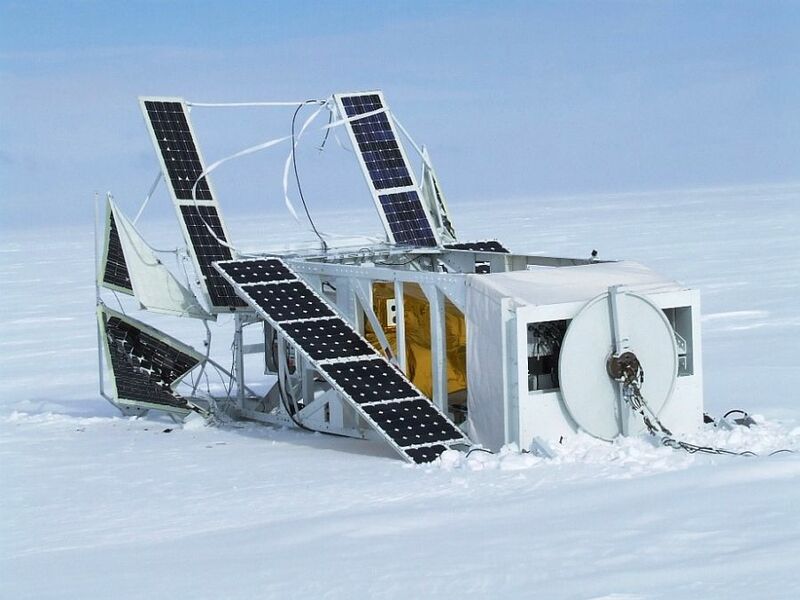 Approximately 3 hours into the flight, when the payload was at 24000 meters (about 79000 feet) altitude SBI had a major malfunction of the control computer which shut down abruptly. The control computer is responsible to command the telescope pointing system, so without it, it's impossible to take images of the Sun. 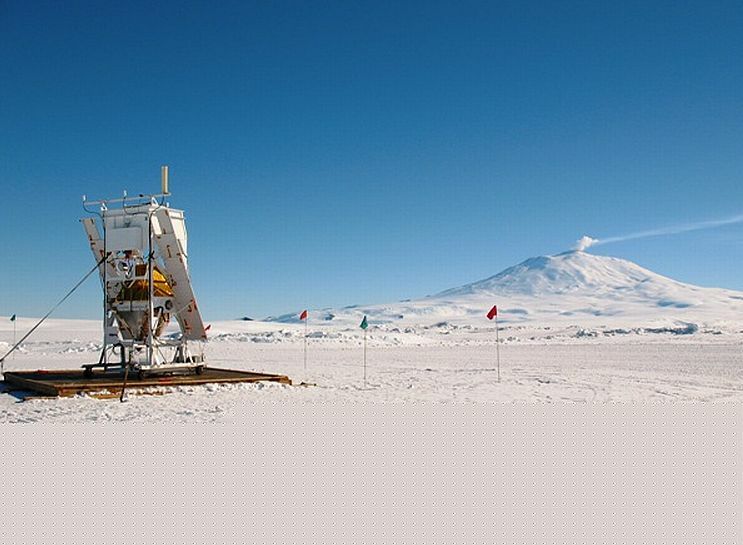 As the scientific team still had good communications with the gondola via the command computer that was still alive and well, during the next two hours several attempts were done to bring the control computer back online, all unsuccesful. Then, was decided to order a premature termination of the mission, so no scientific data was obtained.